tvN Asia’s latest 24-hour express drama – Her Private Life – starring Kim Jae-wook and Park Min-young, will premiere on tvN in Asia from 11 April (Every Thursday and Friday) at 21:45 (GMT+8) in Singapore and Malaysia, and at 20:45 (GMT+7) in Indonesia. Her Private Life follows the romance between art gallery curator, Sung Duk-mi (Park Min-young) and her boss, Ryan Gold (Kim Jae-wook). At work, Duk-mi is very hard working and obedient, but secretly, she is a fangirl of Cha Shi-ahn (ONE) and manages a popular fan site. “I think 'Her Private Life' is very unique as it has a fangirl as the main character”, expressed Park Min-young. Playing against Park Min-young, Kim Jae-wook took the role of a cold and harsh director of an art gallery who used to be a talented artist. “I think 'Her Private Life' is the perfect drama for spring, the season of love. We all have become obsessed with something at one point in our life. 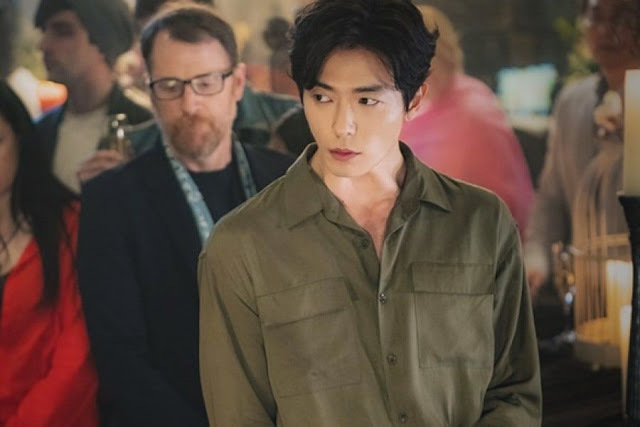 Seeing Duk-mi and her friends obsess over an idol will recall those moments of audience’s past, or even current state”, remarked Kim Jae-wook.